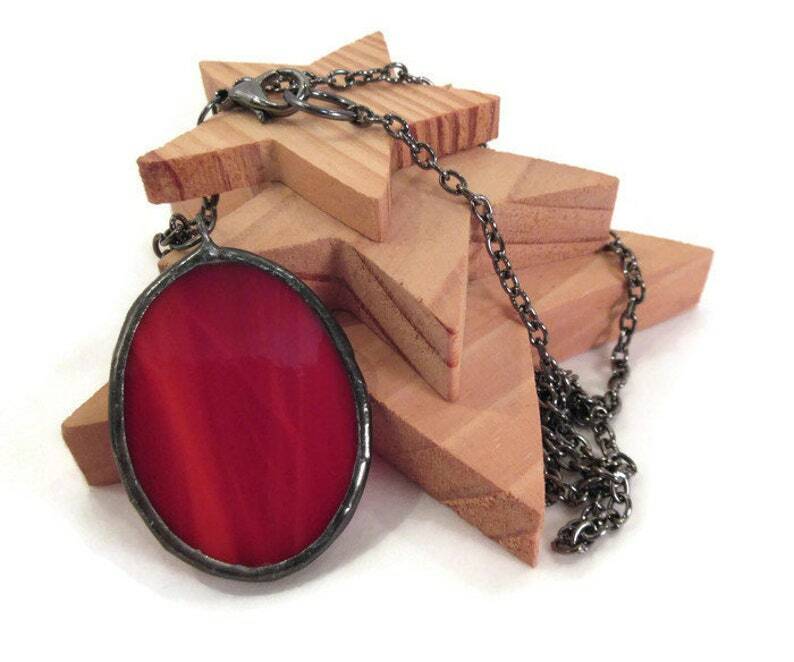 Red Glass Necklace is a beautiful deep red streaky stained glass oval, a piece of simple everyday jewelry. This necklace is handmade using glass and metal, the red oval shaped stained glass is copper foiled and then soldered with lead free solder. This red glass pendant comes packaged in a handmade fleece gift bag that is ready for gift giving or safe keeping.